The Kyrgyz government is acting just as former President Kurmanbek Bakiyev did with his opponents and is repeating his mistakes, analysts say. The country’s interim president, Roza Otunbayeva, claimed on August 5 that a coup attempt had been thwarted in the republic. The opposition rally resulted in the detention of its organizer Urmat Baryktabasov and several of his supporters. “All the talk to the effect that it would be a peaceful rally was so much demagoguery, which was to cover up an attempt at the armed seizure of power,” she stressed. Supporters of Baryktabasov, the leader of the Meken Tuu movement, marched from the province to the capital. Baryktabasov is infamous for organizing a storm of the government’s building in 2005. This time, the authorities employed the use of special forces, dogs and tear gas against demonstrators, which resulted in clashes. The new Kyrgyz authorities are repeating mistakes made by the previous authorities, Nezavisimaya Gazeta said. It noted that the new government “was offered to resign,” as many analysts and observers had predicted recently. This time, people from Issyk-Kul Region addressed the interim President Roza Otunbayeva, the paper added. However, the government had blocked all the routes into Bishkek, the capital, and stopped the main forces of protesters. As a result, only 2,000 people managed to gather at a square near the parliament building, although much more were expected to come, the daily said. “At the beginning of the rally, activist of Meken Tuu were crying nationalistic slogans in the Kyrgyz language, called for the overthrow of the current authorities and demanded that disgraced politician Baryktabasov be allowed into Bishkek,” the paper said. Baryktabasov was 15 kilometers away, and his absence affected the course of the rally, it added. “Action in support of criminal and political leader Baryktabasov, in my opinion, will not lead to serious deterioration of the situation in Kyrgyzstan,” human rights activist Toktaym Umetalieva told the paper. However, the authorities should make steps to prevent rallies in advance rather than “demonstrate its military might,” she noted. Kyrgyz political scientist Nur Omarov also stressed that the information about the preparation for the rally was available two weeks ago. Many protesters wanted “to loot rather than support Baryktabasov,” he added. During the talks that representatives of the authorities held before the rally with Baryktabasov, he set three main conditions, Vremya Novostey daily said. He demanded that all criminal charges against him be lifted, and that his supporters would be allowed to hold a congress. He also wanted the post of the prime minister for himself, the daily added. Otunbayeva later said she did not understand “on what grounds” he demanded this position. The government’s representative Topchubek Turgunaliev explained to Baryktabasov that the government is already headed by the interim president, the daily said. Then chairman of the country’s Security Council Keneshbek Dushebaev said that members of former President Kurmanbek Bakiyev’s regime could have been among the organizers of the rally, the paper added. “Anyway, yesterday, the authorities in Kyrgyzstan endured, and Roza Otunbayeva managed to calm down the people", the paper said. The interim government acted against the protesters the same way former President Bakiyev did with his enemies, Kommersant newspaper wrote. 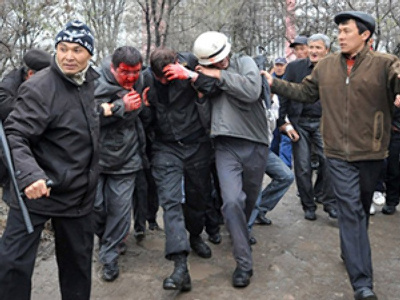 The consequences of the latest events in Kyrgyzstan for the government could be unpleasant for the government, the daily noted. Now that the authorities detained Baryktabasov, who is popular in the north of the republic, they could lose influence in Issyk-Kul Region, the paper said. Combined with the fact that they are not supported by people in the South after the clashes that took place there in June, this threatens the parliamentary elections with serious problems, it added. Among the possible options is the failure of the government at the elections and confrontation that may “seize the whole country,” the daily stressed. Otunbayeva, however, assured the citizens that the situation was under control and the country may prepare for the parliamentary elections that will be held in October. First of all, these are the parties of leaders who occupied serious posts in the interim government and now have left it for the campaign period. 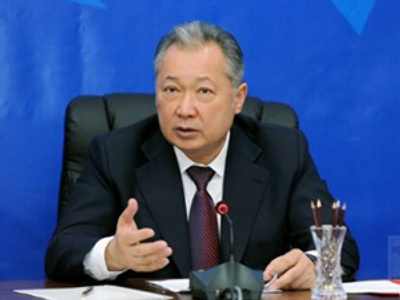 Almazbek Atambaev, the first deputy prime minister who heads the Social Democratic Party, does not conceal his ambitions, the paper wrote. According to the new constitution, the government will be formed by the parliament. 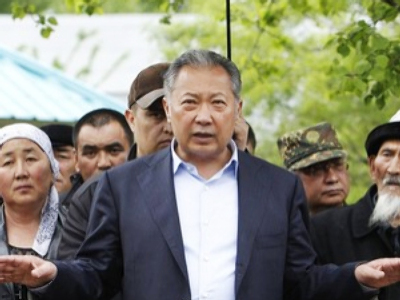 Atambaev may have the support of the interim president, who has been his ally for a long time. Otunbayeva does not represent any party currently. Omurbek Tekebaev, the deputy prime minister and leader of the Ata Meken party, was one of the main supporters of amending the constitution, the paper said. There are rumors, however, that Tekebaev’s consultants from the US could have been behind the changes that have turned the presidential republic into a parliamentary one, the paper said. “In this sense, it seems logical that Tekebaev has intentions to become the parliament’s speaker,” it added. Other important players in the Kyrgyzstan’s political games may be the Ak Shumkar party, headed by former financial minister Temir Sariev, who “often visits Russia”; and Feliks Kulov’s Ar Namys party, the paper said. Kulov has “the closest ties with Moscow” since the Soviet times, the daily added.